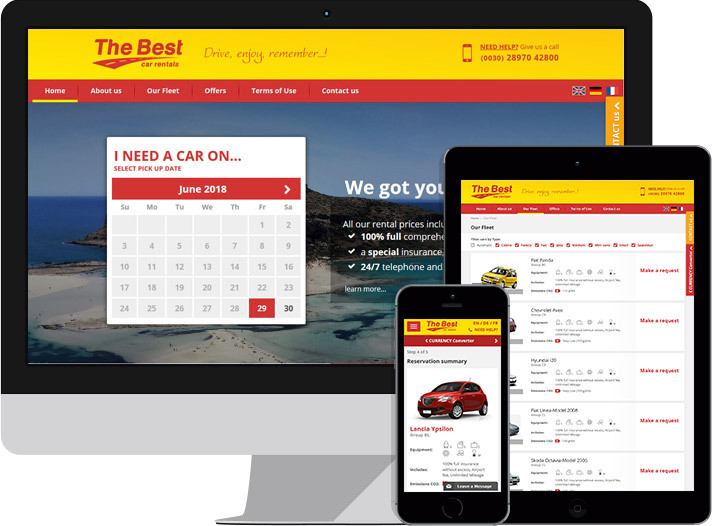 Our concept is to offer you efficient low-cost hire services (after all the car hire cost should be lower than the fly/stay cost), reliable and flexible and definitely top quality car hire services without last minute surprises, so that you enjoy a relaxing and carefree drive in Crete. We do our utmost to achieve our goals every year because what counts for us is our customers' satisfaction. We care about you and we want you to come to our beautiful island not only during summer time but throughout the year; not only once but every year if possible. We want Crete to be your second home. We are definitely sure that if you get the best possible service you will book with us again. Remember that the only excuse not to rent a car from The Best is not having a driving license.